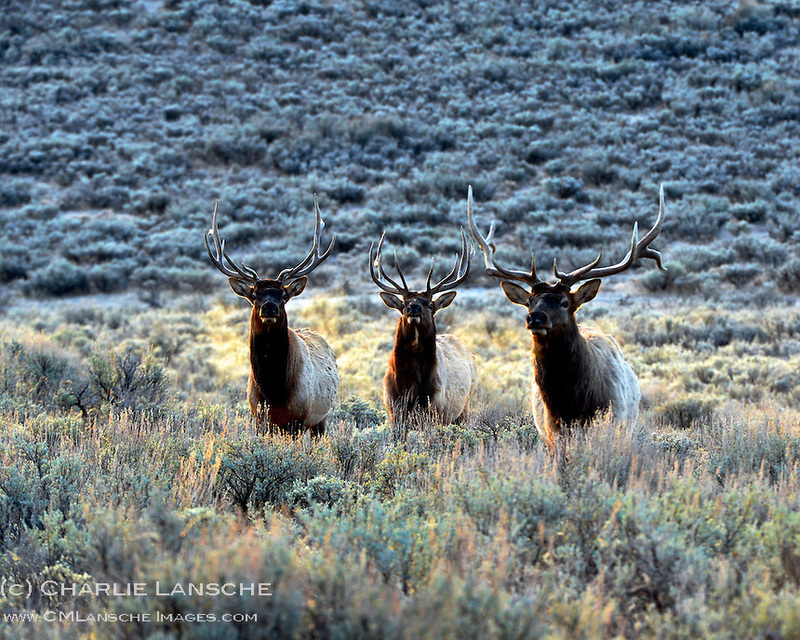 I caught this "bachelor" group of bull elk at first light on a crisp November morning as they moved from open sage, where they had been feeding all night, into the forest for daylight cover. These guys will stay together most of the winter before dispersing in the spring. Summit County, Utah. November 2012.